It was a parade like none Philadelphia had ever seen. The city sought to sell Liberty Loans, bonds to pay for the war effort, while bringing its citizens together during the infamous pandemic. Pop quiz: What did Washington get when the British surrendered at Yorktown? Answer: All of the enslaved people in Yorktown who had escaped to the British in hopes of freedom. They had come in the belief that the British would free them. Cornwallis had put them to work on the British defense works around the small tobacco port, and when disease started to spread and supplies ran low, Cornwallis forced hundreds of these people out of Yorktown. 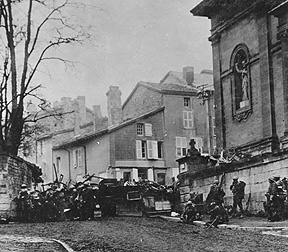 Many more died from epidemic diseases and the shelling of American and French artillery during the siege. Among them was Isaac Granger Jefferson, a five-year-old boy who was returned to Monticello and later told his story. The stories of some of the people “reclaimed” by Washington are told in my book, IN THE SHADOW OF LIBERTY: The Hidden History of Slavery, Four Presidents, and Five Black Lives. The Battle of Yorktown and role of African-American soldiers there –as well as the fate of the enslaved people in the besieged town — are featured in THE HIDDEN HISTORY OF AMERICA AT WAR: Untold Tales from Yorktown to Fallujah. Pop Quiz: Who first used the words “Wall of Separation” in talking about church and state? Answer: Roger Williams, the dissident minister banished by the General Court of the Massachusetts Bay Colony on October 9, 1635. Williams was told to leave the colony within six weeks. If he returned, he risked execution. He eventually went on to found Rhode Island, with a written constitution guaranteeing freedom of religion, approved by Parliament in 1644. Williams died in Rhode Island in 1683. Learn more at the Roger Williams National Memorial (U.S. National Park Service). The phrase, “wall of separation between church and state” does not appear in the United States Constitution as many people think. But it was used in a famous letter written by Thomas Jefferson in 1802. Williams, who founded Rhode Island with a colonial charter that included religious freedom, knew intolerance firsthand. He and other religious dissenters, including Anne Hutchinson, had been banished from neighboring Massachusetts, the “shining city on a hill” where Catholics, Quakers and Baptists were banned under penalty of death. This phrase has become well known because it is considered to explain (many would say, distort) the “religion clause” of the First Amendment to the Constitution: “Congress shall make no law respecting an establishment of religion …,” a clause whose meaning has been the subject of passionate dispute for the past 50 years. 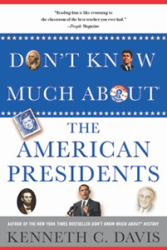 Read more about the period of labor unrest in Don’t Know Much About® History.